For historical contribution to the establishment and development of Rezekne Higher Education Institution, significant contribution to the development of the study programmes and the improvement of studies, methodological and scientific work of the faculty of Economics and Business Management, as well as for the promotion of collaboration with local municipalities and active participation in projects’ implementation. 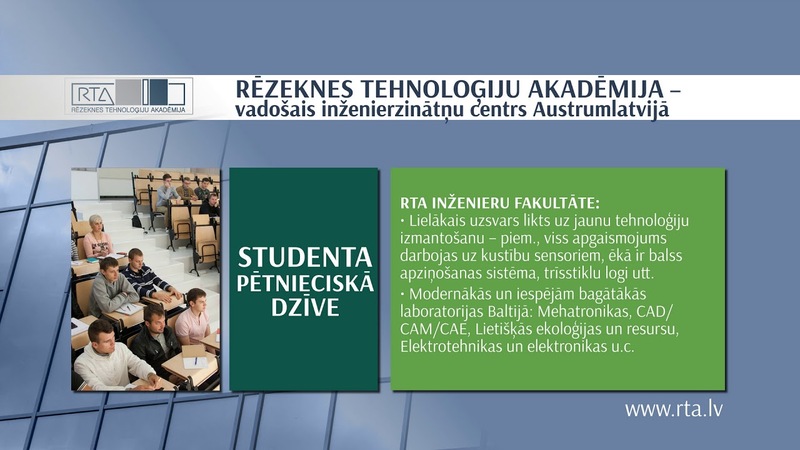 For historical contribution to the development of Rezekne Higher Education Institution, the direction environmental engineering study, as well as the development and implementation of doctoral study programme. For active and long-term cooperation with Rezekne Higher Education Institution and the promotion of the development of study programmes of Engineering Faculty. For significant, historical contribution to the development of study direction “Education, pedagogy and sports” at Rezekne Higher Education Institution, the establishment of Personality Socialization Research Institute, the development of doctoral study programme, the training of new scientists, the promotion of collaboration with foreign research institutions, the development of scientific projects and their successful implementation. For significant contribution to the development of the study programmes of the faculty of Economics and Business Management and the improvement of methodological and scientific work. For significant contribution to the scientific work and studies of the faculty of Economics and Business Management. For creative contribution to the pictorial art on international and national scale, in order to develop and promote students’ creative performance. For active and long-term cooperation with Rezekne Higher Education Institution and for the promotion of the development of study programmes implemented by the faculty of Education, Language and Design’s at RHEI. For significant contribution to the establishment and development of Rezekne Higher Education Institution. For active and long-term cooperation with Rezekne Higher Education Institution and contribution to the development of Baltic philology and Latgalian Studies at RHEI. For significant contribution to the development of the study direction of jurisprudence at Rezekne Higher Education Institution.